So you are planning your wedding day and one of the key factors that’s needs consideration quite early on is your wedding catering…what are you going to EAT! One of the great joys of a marquee wedding is that you get to choose exactly how your day is going to work and a major part of the day is celebrating with family and friends and enjoying some lovely food and drink. The one thing we have found over the years is that there is a full range of amazing caterers out there and we work with some superbly creative and talented businesses that produce wholesome, delicious menus using local produce and can do it all from a remote location in a field – amazing! Weddings are the ultimate gathering with all ages coming together and this means you may feel your catering also needs to span the generations as well. ‘Sit down’ more formal meals, with service to the table, are a real celebration and treat. They give your guests time to relax and enjoy their meal before the more lively celebrations in the evening. However, if this feels a little dated for your liking, it really doesn’t have to be. There are plenty of menu options, like sharing platters or 5 Course taster menus that give the ambiance of a sit down meal but with a more modern twist. 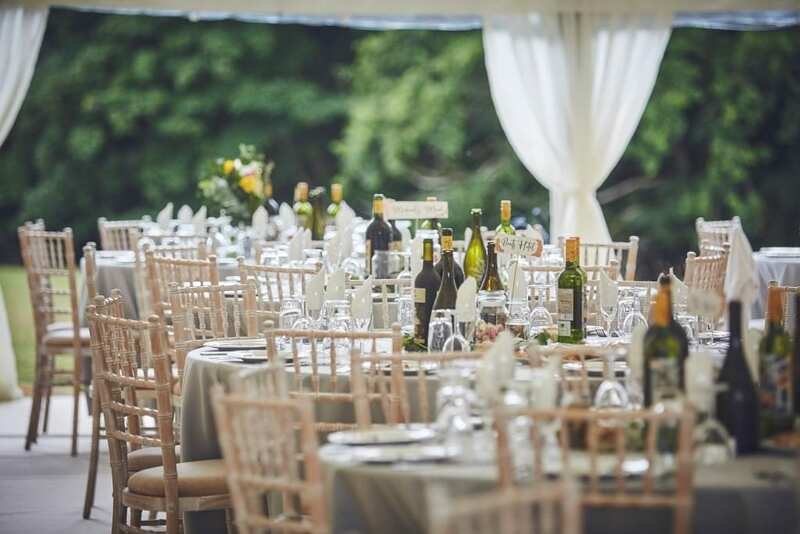 Our advice is to choose experienced outdoor wedding caterers who will be able to guide, offer ideas and possibly taster sessions so you can sample what’s on offer. If being seated for a 3 course meal has you wriggling in your seat, you have a lot of young children to cater for, or maybe you don’t want to be worried about the politics of a tricky seating plan then an informal style of food service may be idea for your day. Informal wedding catering spans a whole multitude of options from buffets, bbqs, hog roasts, paellas and much more, which can be served buffet style with seated dining for guests if you want the informality of the food whilst giving guests somewhere to relax and enjoy their meal. 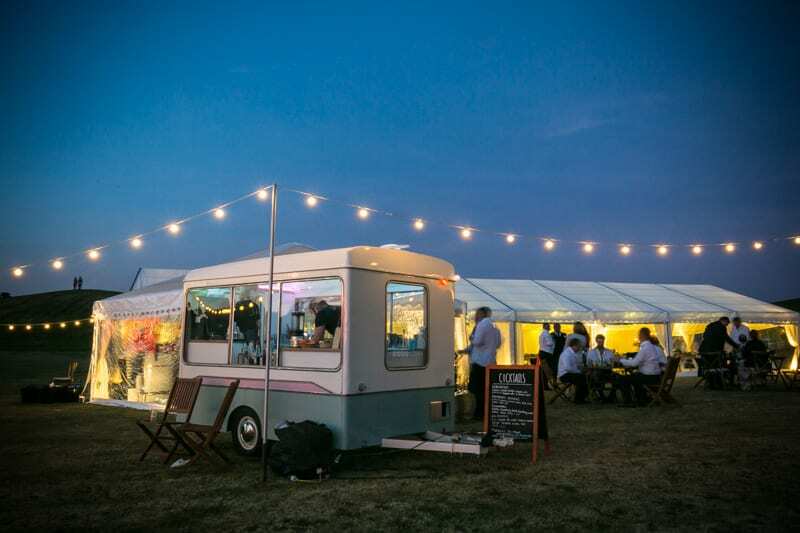 Alternatively for a more rustic festival approach you could opt for outside catering straight from a stand/van like a hog roast, wood fired pizzas, fish and chips or a range of street food. It’s a sociable way to cater and allows guests to mingle, creating a very chilled, informal event. I guess we have probably just scratched the surface as to what is available for you to choose from as really ‘anything goes’! Our advice would be to do a bit of research and get recommendations if possible. If you would like a little direction from us, take a look at our ‘Recommended Suppliers’ listing on our website which details many of the caterers we have worked with and would definitely recommend. Whatever you decided, enjoy choosing and we are sure you can look forward to a wonderful celebratory feast! 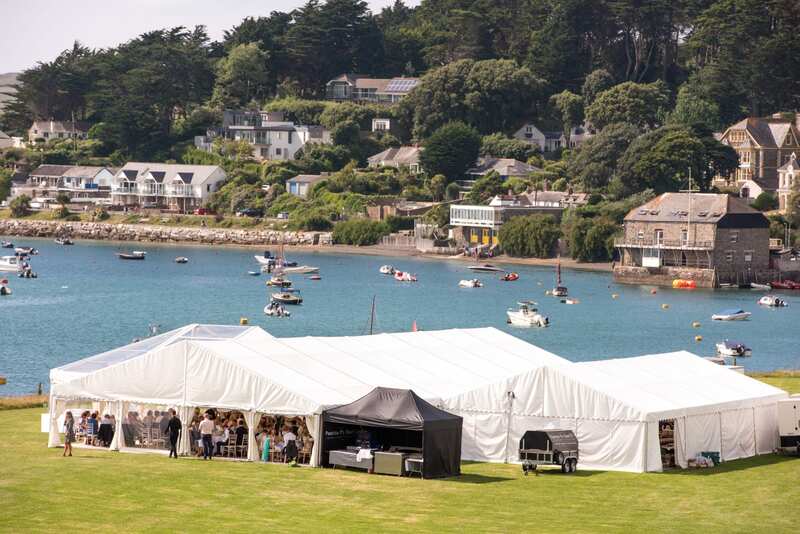 For more information about marquee complete our contact form and we will send you some further information on marquee hire in Devon, Cornwall, Somerset or West Dorset to get you started. Happy Planning!